As a nonprofit theater dedicated to illuminating the American experience, we rely on the generosity of donors to support our critically acclaimed and award-winning productions as well as our innovative educational and community engagement programs. With longstanding ties to Sierra Madre and the greater San Gabriel Valley, we remain committed to engaging a diverse audience and inspiring the next generation of artists and theater lovers. For information about corporate sponsorships and planned giving opportunities, please contact Managing Director, Estelle Campbell at ecampbell@sierramadreplayhouse.org. SMP is enrolled in AmazonSmile! It's easy - just enroll in the AmazonSmile program and select “Sierra Madre Playhouse." Amazon will donate 0.5% of your total purchase price back to support SMP. Once a quarter SMP will receive a check with Amazon’s generous donation just because you shopped! Tips: Search the term “Sierra Madre Playhouse” (not “SMP”, “The Playhouse” or anything else) Do your shopping through the Amazon Smile site to ensure you are using the give-back program. This is an annual program, so please renew in September! Through Ralphs' Community Contributions Program, you can help support the Sierra Madre Playhouse--just shop, swipe your Ralphs Club Card and earn! We'll receive 4% on all monthly purchases, per enrolled card, up to $500.00. This program does not affect your club card discounts. 1. 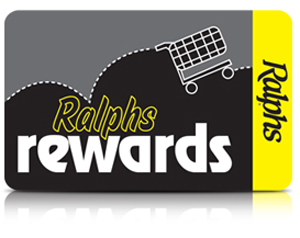 Visit Ralphs.com and sign-in or register for a Ralphs’ online account. 2. Click the My Account button and select Account Settings. 4. Select us under Organization Name. Click Save!